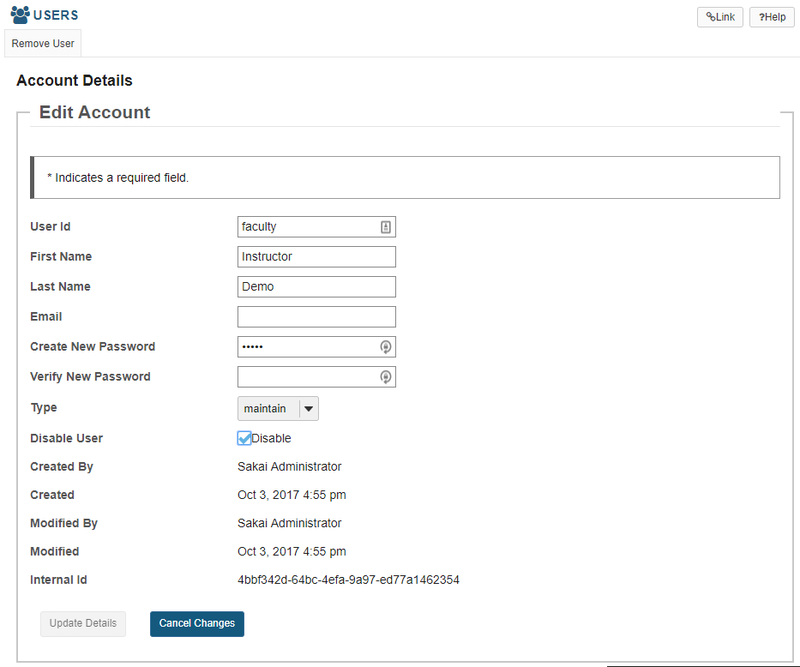 Sakai Community DocumentationSakai 12 Administrator Guide (English) UsersHow do I remove a user account? Removing an account deletes all the user data for that user, including any grades, resources, and other user-related files or activity. This option should be used with caution, as it will delete all information associated with the account! Note: You may want to disable the user instead. Disabling a user account blocks that user from being able to access the system. 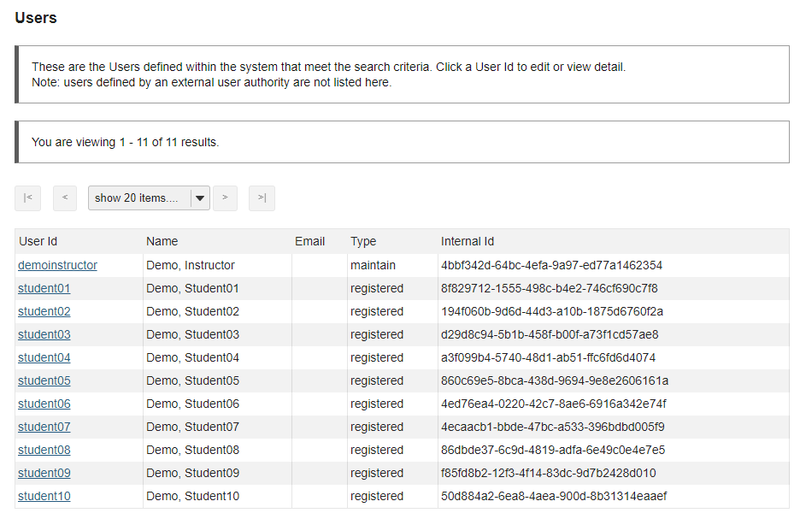 However, the user's data and activity are still retained in the system. You will be prompted to confirm the removal of the user account. If you are sure you want to delete the user, click Remove. 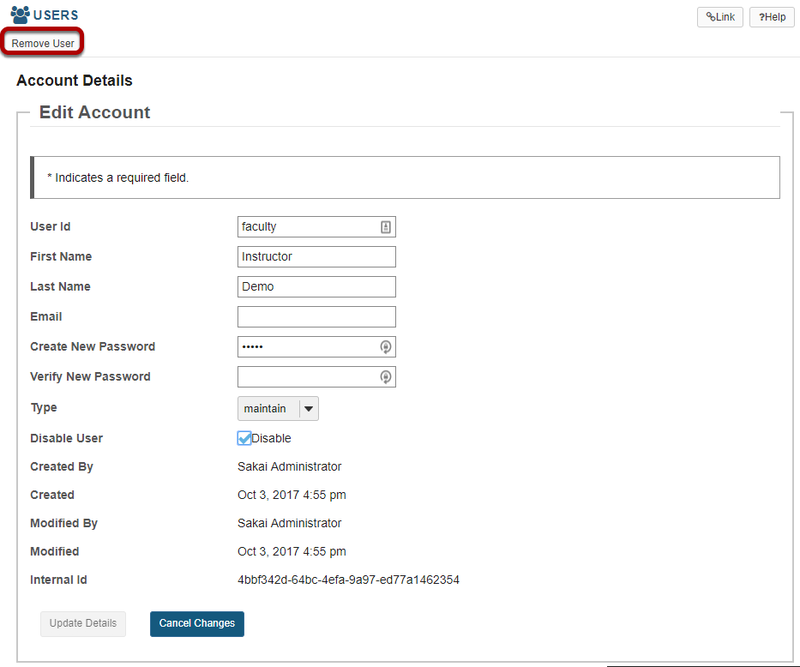 Prev: How do I disable a user account? Next: What is User Membership?